Before we go, I'd love to show a few before & after photos of the place. My very capable husband and brother repairing water and fire damage (from 1969) in the master bathroom. I got out of much of that because I was 8 months pregnant. I couldn't find a "before" photo for the master. It had carpet. 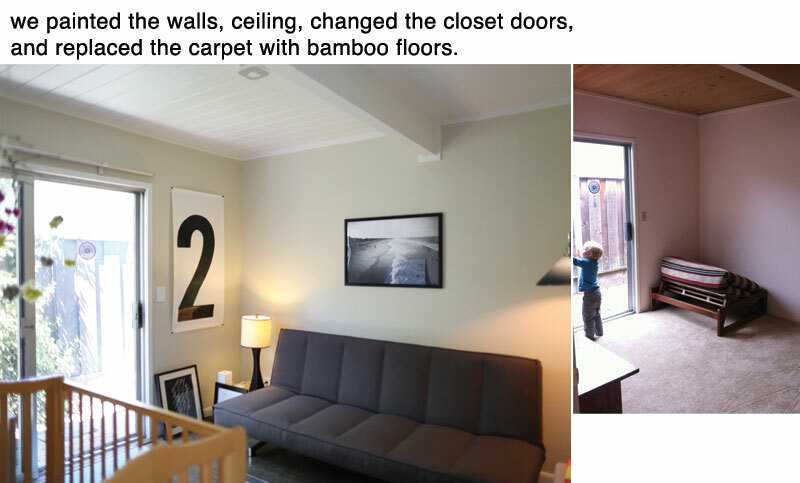 My husband spent his paternity leave installing the bamboo floors in our master bedroom. We also added insulation in the walls, smoothed out the textured walls, got rid of the trim at the top and used different baseboards. We redid the glass and closets. It's our favorite room in the house. 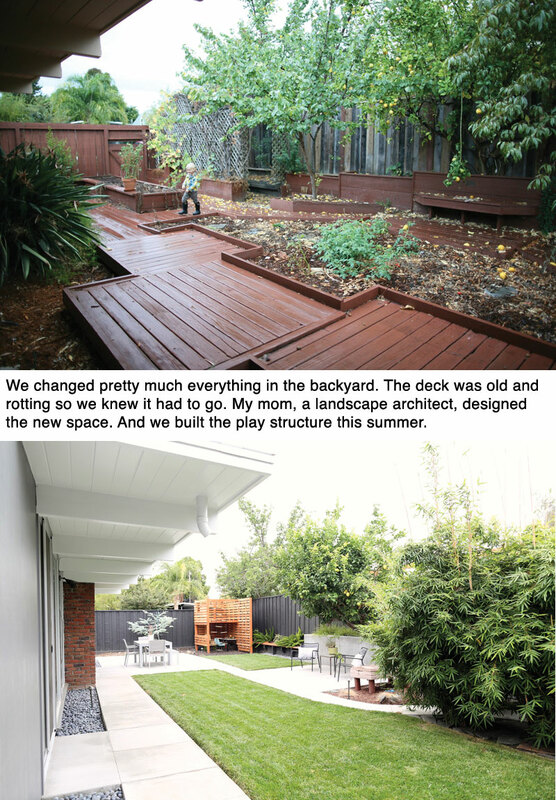 The landscape renovation was long- 6 months for the construction. 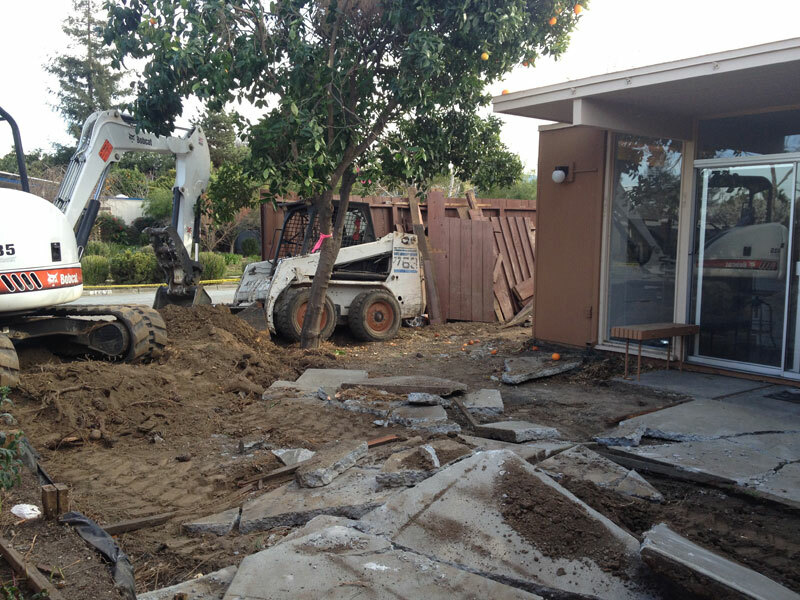 Much of that time we did NOT HAVE A FENCE. Living in a glass house with a brand new baby is not at all PRIVATE without a fence- hi workers! hi neighbors! where's the dog?! 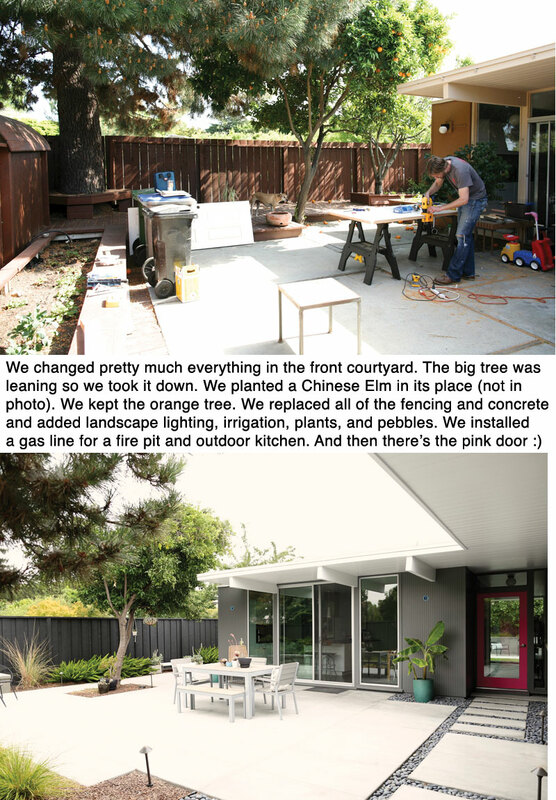 While we're proud to have done all of the interior work ourselves (my husband, my brother, my husband's parents, and me), we were happy to outsource the exterior. Landscape Architect, Chris Jepson at Gamboni Landscape Architect, Contractor was All-Points Construction, and painting and some siding repair was done by Mike Moody Painting. We had a few panels of siding replaced by Scot Nicholls.